This wire should stay on forever. The only exception is if your family dentist says you are not keeping it clean and it is beginning to cause gum or bone problems. If this should occur, please have the wire removed and replace it with a removable retainer. 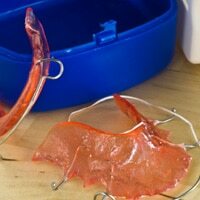 The removable retainer should then be worn as Dr. Wiley and Dr. Potts prescribes. The fixed wire will protect the teeth as the patient gets older and your facial muscles get tighter. Please have this wire monitored by your family dentist at your six-month check-ups. The patient should continue with proper oral hygiene procedures at home, to include thorough brushing and flossing techniques, and should comment to seeing their family orthodontist at least every six months for a cleaning. 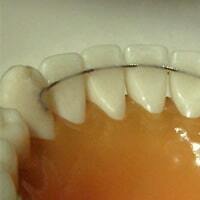 Bonded lingual retainers are cemented directly to the inside surface of your lower canines (eye teeth). This is one of the best ways to prevent your lower teeth from shifting as it is permanently attached! Patients with bonded lingual retainers must be careful with their bite as the bonding material may break due to incorrect biting and cause teeth to shift quickly. 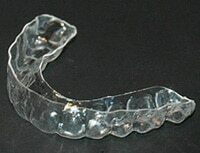 As with removable retainers, it is important to keep them clean. When brushing, make sure to carefully clean the inside of your lower teeth as well as the wire.